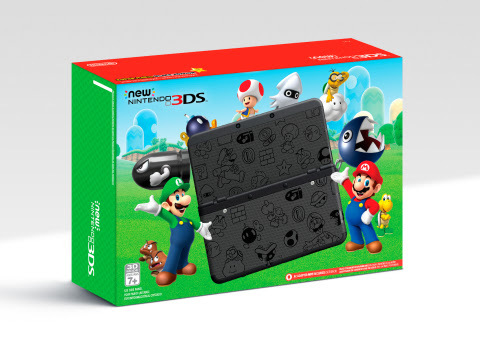 Confusing name aside, the New Nintendo 3DS will be $100 on Black Friday. However, that is not all. They will be available in two special-edition models: one black, and one white. Both systems will feature Mushroom Kingdom characters and imagery. They systems will be available on November 25. Originally, the portable console released on February 13, 2015 in North America, though only the XL version. The standard-sized model was not released until September 25, 2015 when bundled with Animal Crossing: Home Designer. The system features unique games, such as NES titles, Xenoblade Chronicles 3D, Fire Emblem Fates, allows the use of amiibos in certain titles, and some added features that make it superior to the original 3DS. The$100 price tag is a much better price than the original $200.